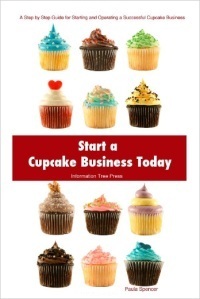 This book gives you with the knowledge and skills you need to start and successfully grow a cupcake bakery anywhere. In addition to reviewing current trends and business basics, it covers every aspect of writing a business plan including: Researching your demographic; Marketing and promotion; Legal structure and licensing; Financial forecasting (sales, cash flow, budgets, etc.). Written with consultation from over 50 health, agricultural and municipal business departments you will be guided through the process of getting legal. It cuts through the red-tape to alleviate the anxiety most people experience when dealing with health inspectors, tax collectors and licensing agencies. You will receive the latest guidance about the insurance you should have, your tax responsibilities, the most common equipment and construction requirements, how to work and negotiate with your future landlord, what needs to be in a lease, your responsibilities for food safety, and much more. You will learn the best locations for YOUR business; Space design and lighting to maximize efficiency and sales; How to be a strong presence in your community through traditional and web-based marketing. Understand how to get the TOP results from search engines and the best results from Facebook and Twitter. Bonus items including forms, checklists, contracts and more are also provided. It used to be commonplace for every community to have at least one "mom and pop" bakery where consumers shopped for all their bread goods such as cakes, dinner rolls, Italian bread for pasta night, deserts, etc. In the last twenty years, grocery store chains Walmart, Costco and others have moved into these markets and have driven many full-service bakers out of business. Even before the economic crisis of 2008, a bakery decline was occurring for the last decade, driven in large part to increased competition in the full-service arena. Smart entrepreneurs have adapted and responded to the market conditions by developing specialty niches that consumers seek. Cupcakes are just one niche within this market. Their rediscovery is due in part to the popularity of reality TV shows featuring cakes and cupcakes.